We Provide an affordable removal service in London and we are a local company, please look no further. From a small room move, through to a five bedroom House. Please see our home page for prices but if preferred fixed quotes will be given, we have removal blankets and straps to secure item's in transit. 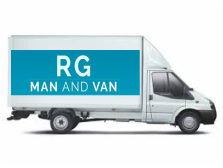 ﻿Local or Nationwide removals, we have two or three men crews, multiple commercial vehicles for short or long distant removals, Hourly Rate or fixed quotes with no hidden fees. Professional and affordable House Removals. Abbey Wood, Acton, Aldwych, Archway, Barking, Barkingside, Barnes, Battersea, Bayswater, Beckenham, Beckton,Belgravia, Belvedere, Bermondsey, Bethnal Green, Biggin Hill, Blackfen, Blackheath, Bloomsbury, Bounds Green, Bow, Brixton, Brockley, Bromley, Brompton, Burnt Oak, Camberwell, Camden, Carshalton Beeches, Catford, Central London,Chelsea,Chingford, Chislehurst, Chiswick, Clapham, Cockfosters, Colindale, Colliers Wood, Cricklewood, Crouch End, Croydon, Crystal Palace, Deptford, Docklands, Ealing, East Dulwich,Edmonton, Elephant & Castle, Eltham, Erith, Euston, Finchley, Finsbury Park, Forest Hill, Fulham, Golders Green, Greenwich, Hackney, Hammersmith, Hampstead, Harlesden, Harold Hill, Harringay, Heathrow Airport, Hendon, Herne Hill, Heston, Highbury, Highgate, Holloway, Honor Oak Park, Hook, Hornchurch, Hornsey, Ickenham, Islington, Kennington, Kensal Rise, Kensington, Kentish Town, Kidbrooke, Kilburn, Lee, Lewisham, Leytonstone, Maida Vale, Manor Park, Mill Hill ,Mitcham, Mornington Crescent,Muswell Hill, Neasden, New Cross, New Malden, Norbury,Northolt, Notting Hill Gate, Orpington, Palmers Green, Peckham, Penge, Petts Wood, Plumstead, Pratt's Bottom, Primrose Hill, Putney, Richmond, Romford, Rotherhithe, Royal Oak, Ruislip, Shepherds Bush, Shoreditch, Sidcup,South Bank, Southall, Southwark, Spitalfields, St Johns Wood, Stanmore, Stockwell, Stoke Newington, Stratford, Streatham, Thamesmead, Tooting, Tottenham, Tottenham Court Road,Tufnell Park,Tulse Hill, Turnpike Lane,Upminster,Vauxhall, Walford, Waltham Cross,Walthamstow, Wanstead, Waterloo, West Hampstead, Westbourne Park, Whitechapel, Whitton, Wimbledon, Wood Green, and Woolwich.